February 21, 2018 by Laurie Leave a Comment This post may contain affiliate links, which means if you click on a link and purchase something, I may earn a small commission (at no additional cost to you.) See my disclosure policy HERE. 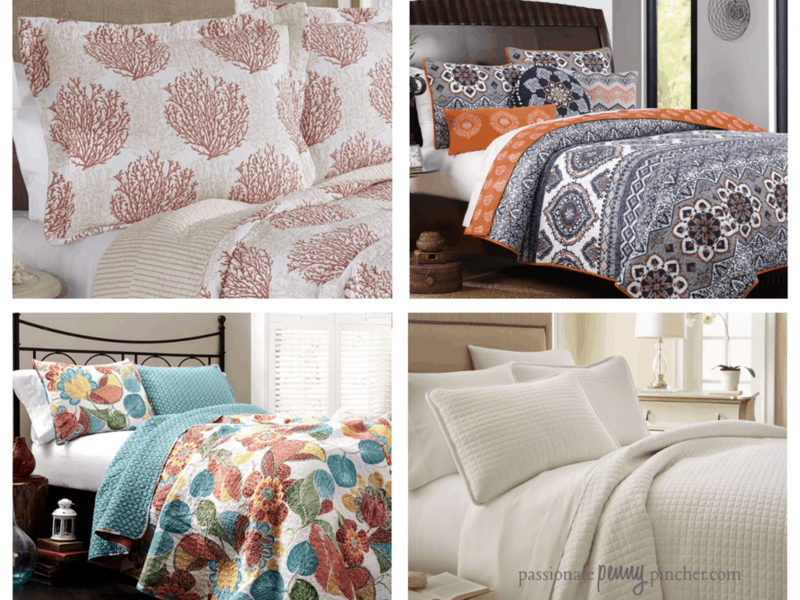 I just LOVE getting new bedding – it freshens up the whole bedroom and if I can do it on the cheap – even better! Wayfair is having a Quilt Blowout right now – and many of their quilt sets are marked under the $25 mark! Provide your email address so you can get a 10% OFF Coupon! Final Price: As low as $20.69! I love the clean white look of the Laurel Foundry Modern Farmhouse Savin Quilt Set – but you can check out all the sale items here! I recommend searching from Low to High Price to weed out the really pricey ones.